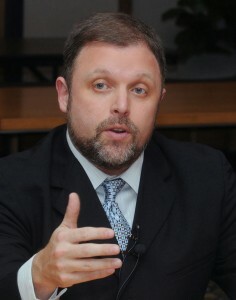 Tim Wise is among the most prominent anti-racist writers and educators in the United States. Recently named one of “25 Visionaries Who are Changing Your World,” by Utne Reader, Wise has spoken in 49 states, on over 600 college campuses, and to community groups across the nation. He has also lectured internationally in Canada and Bermuda on issues of comparative racism, race and education, racism and religion, and racism in the labor market. Wise is the author of six books, including his just published Dear White America: Letter to a New Minority (City Lights Books); White Like Me: Reflections on Race from a Privileged Son (recently updated and re-released by Soft Skull Press); Affirmative Action: Racial Preference in Black and White; Speaking Treason Fluently: Anti-Racist Reflections From an Angry White Male; Between Barack and a Hard Place: Racism and White Denial in the Age of Obama; and Colorblind: The Rise of Post-Racial Politics and the Retreat from Racial Equity. Wise has contributed essays to twenty-five books, and is one of several persons featured in White Men Challenging Racism: Thirty-Five Personal Stories (Duke University Press). He received the 2001 British Diversity Award for best feature essay on race issues, and his writings have appeared in dozens of popular, professional and scholarly journals. Wise has provided anti-racism training to teachers nationwide, and has conducted trainings with physicians and medical industry professionals on how to combat racial inequities in health care. He has also trained corporate, government, entertainment, military and law enforcement officials on methods for dismantling racism in their institutions, and has served as a consultant for plaintiff’s attorneys in federal discrimination cases in New York and Washington State. In Summer 2005, Wise served as an adjunct faculty member at the Smith College School for Social Work, in Northampton, Massachusetts, where he co-taught a Master’s level class on Racism in the U.S. In 2001, Wise trained journalists to eliminate racial bias in reporting, as a visiting faculty-in-residence at the Poynter Institute in St. Petersburg, Florida. From 1999-2003, Wise was an advisor to the Fisk University Race Relations Institute, in Nashville, and in the early ’90s he was Youth Coordinator and Associate Director of the Louisiana Coalition Against Racism and Nazism: the largest of the many groups organized for the purpose of defeating neo-Nazi political candidate, David Duke. Wise graduated from Tulane University in 1990 and received anti-racism training from the People’s Institute for Survival and Beyond, in New Orleans. Wise has appeared on hundreds of radio and television programs, is a regular contributor to discussions about race on CNN, and has been featured on ABC’s 20/20.